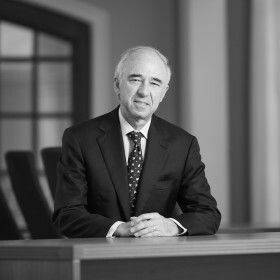 Ernest Bachrach is a dual US/Argentine national with over 30 years’ experience in international private equity. He retired in 2014 from Advent International, a global private equity firm. He joined Advent in 1990 and has held several positions including Chairman of the firm’s Latin American investment committee. Ernest was on the Advent’s global executive committee for 12 years and was a member of Advent’s Board of Directors. Ernest currently serves as a member of the board of Bunge Group (NYSE:BG). He has a B.S. in Chemical Engineering from Lehigh University and an M.B.A. from Harvard Graduate School of Business Administration. He also serves on the Board of Governors of the Lauder Institute of the Wharton School of the University of Pennsylvania and on the Board of the Harvard Center for Latin American Studies. Ernest has led investments in 25 companies as a private equity professional and has served on the boards of over a dozen public and private companies in sectors including financial services, healthcare, retail, technology and infrastructure. Over the past two years he joined the Boards of Endeavor Miami and Endeavor Peru, and is active mentoring early stage companies on business development and strategy.